Simple, yet professionally made shape pack, which you can do so much with these. Labels on Mason Jars, adorable sign on wooden plate, or perhaps something on your chalk board? This is too adorable that I wish they make them in every single month. What you could do is perhaps get rid of the JULY part and use your favorite font, replace it to your month? This will be a perfect for birthday gift to your bestie! Seems like happy camper themes are in right now- ideas are limitless. I ADORE this one. 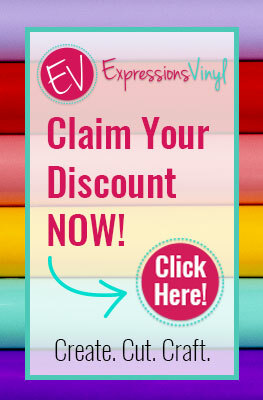 Vinyl decal on your planner, or notebook might lift your spirit! How cute are they! I know the summer is over, but flamingo can cheer us up all year around.